The role of mobile applications in digital business transformation cannot be considered trivial. Its part in shaping success is inevitable. Businesses like Uber, Lyft etc, achieved massive success by comfortably enclosing the hectic taxi booking process within a mobile application. Today, over 68% of organizations from all over the globe integrate mobile marketing as part of their overall marketing strategy. Moreover, the mobile app downloads are rising substantially. Since 70% of internet users are mobile users, the notion of the mobile application for business will not decline any soon. Howsoever, the process of application development is intricate and tedious, for it includes a series of practices like planning, analyzing, strategizing and executing. Besides, it takes great effort and a great deal of money to successfully develop a mobile application. Agriya’s mobile app development services are widely renowned, especially well familiar among businesses that operate in a broad array of industries. They offer full-cycle app development services, also provide ready-made scripts for particular industries, to help businesses deal with ongoing digital transformation. 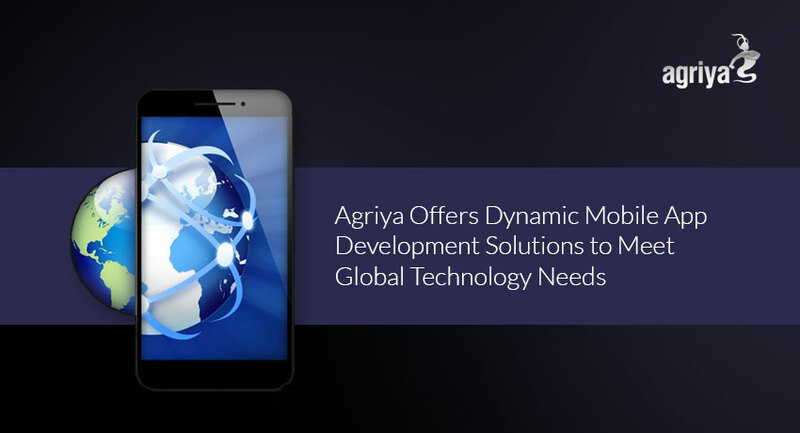 Unlike other regular app development companies, Agriya’s mode of operation focuses on delivering accurate, yet sustained experience for the users as well as the businesses. We perform solemn market and user analysis, further plan and set milestones to execute the plan in the most efficient way possible. When integrating crucial attributes, Agriya pays attention to maintain a balance between user and business attributes to meet the needs of both entities. A touch of innovation can be found in all of our products, which shove businesses further and beyond. The two major spotlights of our distinguished development approach are, we not only develop and deploy the application, but claim responsibility for the support services to ensure maximum sustainability. Also, we issue timely upgrades for the applications to aid businesses to align with the ever-changing market scenarios. However, one of the most significant factors in mobile app development is the cost associated with it. Agriya maintains affordable price ranges to guarantee maximum reach and access. Anyhow, currently Agriya operates in a wide spectrum of industrial segments, they deliver comprehensive technology solutions for numerous business from diverse categories. Apart from delivering custom mobile app development services, Agriya also renders ready-made scripts based on particular industries. This can be employed by businesses who seek similar kind of digital solutions. This procedure efficiently eliminates the development process and the many factors associated with it, which makes it absolutely easy for businesses to step into an entirely new market. For instance, if you are a startup planning to penetrate the commuting segment, Agriya’s TaxiPickr - Uber clone script would be an appropriate option for your business. It is a ready-to-deploy taxi booking software, which can be utilized to set up an Uber-like mobile application. Developing mobile applications from the scratch can be tiresome at times. There are a million things that might go wrong. Moreover, the factor of affordability is the crucial thing that makes the difference. As a mobile app development company, Agriya has evolved throughout these years and mastered the art of creating incredible mobile applications. With a vision to contribute to the world’s technology growth and to help businesses achieve their goals, Agriya will continue offering cutting-edge solutions for those who in demand.